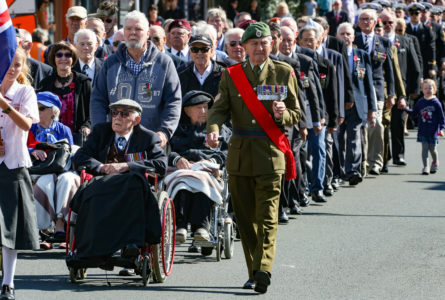 Howick RSA, local police and the Howick Local Board have come up with a compromise for Anzac Day following an enormous emotive response to a city-wide ban on parades on April 25. In a statement from the Howick RSA released this afternoon, Howick RSA president Ray Sangster announced: “Following consultation with local area police, we are pleased to announce a modified Anzac Day programme for the 6am Dawn Service and the main Civic Service at 11am, both to be held on Stockade Hill. Following the conclusion of both services, those attending will disperse. “We acknowledge the input and understanding of our local police and the Howick Local Board to reach this compromise,” says Mr Sangster. A copy of the revised parade route and organisation is available from the Howick RSA on request.